The dazzling city of Dubai in the United Arab Emirates (UAE) is a mecca for expensive taste, high-end shopping, supercars, and year-round weather. At Paddock Rent A Car, we specialise in luxury van rental in Dubai and offer a friendly, personal service that gives tourists and professionals the opportunity to enjoy all this exciting region has to offer. Dubai is renowned for its luxurious lifestyle and at Paddock Rent A Car, we have an ever-growing range of high-end van brands. 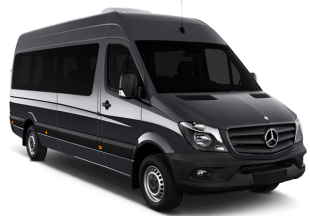 This includes those from Mercedes, such as the prestigious V-Class 250, and the multi-purpose Sprinter light commercial vehicle. We also have the Chevrolet Express Explorer available for hire, combining bold style, a V6 engine with over 270 bhp, and seating for up to 15 people. Many tourists hire a premium van as part of their holiday. With multi-seater options available, this is a fantastic way to transport groups around the city of Dubai. 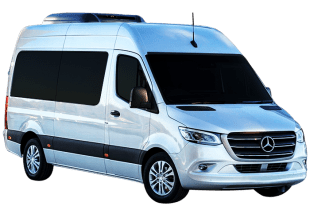 Our vehicles are equally popular with businessmen, many of which use our services for organised tours or ferrying clients from location to location. It is easy to rent a luxury van in Dubai. The first step is to browse through the listings for a price, then select a vehicle. Next, make an enquiry by calling our office or sending in a request via our website. Shortly after, we will provide a call back to confirm all the necessary details. In the final stage, we deliver the car to a predetermined location, usually the customer’s doorstep. However, some customers prefer to visit our showroom to collect the vehicle. As one of the most competitively priced van rental companies in Dubai and across the UAE, at Paddock Rent A Car we pride ourselves on owning all the cars in our fleet. This ensures we can pass on considerable savings to our customers. Each vehicle is fully insured and well-maintained, ensuring high levels of safety and performance.